Prepare: Know what you will need and create it. Prospect: Find the probate real estate and get the listing. Promote: Grow your business through networking and referrals. Know what you are going to do and how you will do it. Start your Probate Business training here, learning probate basics. The first lesson defines probate and common terminology. Then, you’ll move into learning some of the legal jargon, such as the Independent Administration of Estates Act, Notice of Proposed Action, Exclusive Right to Sell and how each of these relate to probate transactions. Finally, you’ll touch on the jurisdiction issues of probate courts throughout the US. 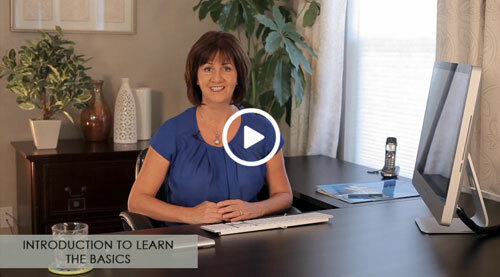 These video lessons will set the foundation and teach you the probate basics so that you can successfully navigate probate real estate transactions. You must learn probate basics before you can establish your own probate real estate business. What is Probate? What does probate mean? Whose jurisdiction and what procedures govern probate? These are just some of the probate basics discussed in this video. The Independent Administration of Estates Act is a vital part of managing the probate real estate transaction. Learn the probate basics of IAEA and how it will affect the sale of the probate property. The Notice of Proposed Action is a necessary step in listing the real property. There are variety of situations when a Notice of Proposed Action is needed. This term will come up again in the discussion of probate basics. This is a contract that you’ll want. Learn more about the rules, limitations and protections this contracts provides you, as the listing agent. All states have a probate code, although it’s frequently called something different. In this video, you’ll learn about using our quick card to check the probate code in your specific states. This information will greatly assist you in mastering the probate basics of your state. Now that you’ve been introduced to the probate basics, it’s time to establish and define the probate services you’ll offer to your clients, the personal representatives. This is also where you start to learn how you can stand out against the other real estate agents competing for the probate listing. Start off on the right foot. This is where you define the bedrock for building your probate business. Build on your current real estate business by expanding some of the services you already offer your clients. These services will become a key part of your marketing to personal representatives. Providing a variety of services to the personal representatives will add value to your client relationship. Managing these services requires careful planning and organization. Know your legal obligations, help the probate property show better and help the personal representative avoid additional costs by looking at these things. Step by step, go through the probate property paying close attention to these aspects. Look for specific indicators to increase the value of the property while spending little to no money. Learn to balance value with expense. These inexpensive fixes will go a long way towards making the property show better. More ways you can guide the PR through getting the property ready to sell. These ideas add value to the home and to your client relationship. As the trusted listing agent, be prepared to advise the PR on maintaining the property and matters such as electric, water, heat and insurance during the listing process. Another probate basic is knowing the options for personal property disposal. Learn the pros and cons of the different options. You must know your own resources and contraints before you establish your probate services. Sign up for webinars, notifications and new offerings. The content provided on this web site reflects the opinions and business practices of the author(s) and does not constitute legal, financial, or tax advice. The information and instruction provided by the author(s) is based on the laws of the state of California and San Diego County as interpreted by the author(s), and may not be applicable in other jurisdictions.